Are we witnessing the corruption of central banks? Are we observing the money-creating powers of central banks being used to drive up prices in the stock market for the benefit of the mega-rich? 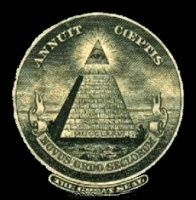 Read more about Are Central Banks Corrupted? Something strange is happening to familiar American companies: Burger King has become Canadian, Pfizer seems to be trying to be British, and Walgreens has backed away from becoming Swiss only because of the outcry over their plan for a new nationality. Seeing what our companies are willing to do to escape paying income tax, people are beginning to wonder about how American our American companies are. It's Friday Night! Party Time! Time to relax, put your feet up on the couch, lay back, and watch some detailed videos on economic policy! Tonight's documentary is Money & Speed: Inside the Black Box. It is a nanosecond by nanosecond account of the May 6th, 2010 flash crash, the most famous of sudden jolts to the markets due to automated computerized trading. CBS 60 Minutes has another bombshell report. It seems while handing cash under the table to members of Congress is graft, offering pre-IPO stock, guaranteed to make a profit for an elected representative...isn't. In Congress: Trading stock on inside information, we have yet another blow by blow playbook on how to use your elected public office to get rich quick. Cook outs, barbeque, Frisbee with the pooch, family and friends. A time to relax and gear up for fall. 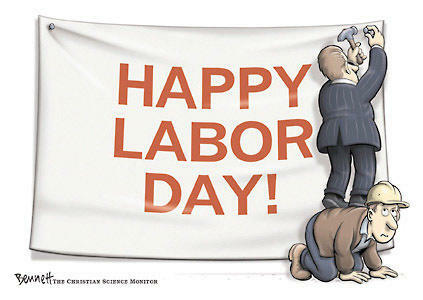 Even the Department of Labor has gotten into the spirit of things with a labor day picture history. All hail the credit rating agencies. The Dow is tanking, at the time of this post down over 630 points, probably getting hit with margin calls. Gold is over $1700 an ounce. Oil is down $3 dollars a barrel as investors hunt for a place to hide. Currency exchange rates are bouncing. Panic is clear due to high market volumes and the fear index, otherwise known as the VIX, surged 40% in a day. Wall Street exits, stage right, from the United States economy. The Dow closed 513 points down today and is down over 1,200 points since July 21. Both the Nasdaq and the S&P. This is the worst one day drop since October 2008, otherwise known as the great financial Armageddon. Only three of the 500 stocks in the Standard & Poor's 500 index had gains. Oil fell by 6 percent. The yield on the two-year Treasury note hit a record low as investors sought out relatively stable investments. All three major stock indexes are down 10 percent or more from their previous highs, a drop-off that is considered to be a market correction. A drop of 20 percent or more signifies the start of a bear market, an extended period of stock declines. 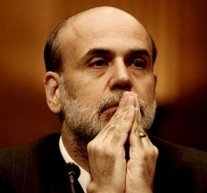 Does Ben Bernanke even know what he is doing? I've certainly wondered about that point, and it is increasingly a topic of conversation among stock market analysts who have come to understand that all the major US stock market indexes are pushing relentlessly upward because of the Bernanke put. There hasn't been a significant correction in the stock market since early September, when the S&P 500 left the 1040 range to its present very lofty height of 1330. This rally has set a number of records, including days when the stock market moves less than 1%, and number of stocks above their 200 day moving average. While some analysts credit this advance to improving economic conditions, most observers point to the Fed's deliberate policy to keep the stock market "higher than it would otherwise be", fueling it with hundreds of billions of dollars from the quantitative easing program. Read more about Bernanke's Intrigue? The Federal Reserve, in announcing the results of this week's meeting of the Open Market Committee, surprised the market by revealing it will begin purchasing US Treasury notes and bonds with the principal income it receives from its vast holdings of Fannie Mae and Freddie Mac mortgage securities. This practice - wherein the Fed buys up US government securities and injects cash into the public market as payment for these securities - is a form of monetizing the debt. The last time the Fed did this on a big scale was back in the 1960s when it attempted to mop up the excess Treasury securities that were flooding the market as a result of Lyndon Johnson's efforts to finance the Vietnam War. That Fed program was viewed at the time as a failure, since the cash the Fed put back into the economy in exchange for the securities was a big reason - perhaps the major reason - why price inflation accelerated from the late 1960s until a decade later, when Paul Volcker managed to squelch inflation once and for all with forbiddingly high interest rates. Searching through the site, I could not find any reference to Lynn Tilton, a unique and compelling lady about whom you may want to know. A couple of weeks ago, NPRs Planet Money dubbed her 'The Private Equity Boss in Four-Inch Stilettos.' They posted a great podcast diving into the details of her work buying distressed companies. More relevant for this community, however, is Lynn's unique and intimate perspective on the dire state of our economy and the solutions needed to support American industry and spur long-term job creation. Twice on Yahoo! Finance this week, she spoke about two issues: The Huge Disconnect Between Stock Market and the Real Economy and Unemployment Benefits Just a "Band-Aid" Tilton Says, America Needs Industrial Jobs.